DNA Air Filters, a worldwide leader in motorcycle race air filters, is now available in North America through MOTO-D Racing. 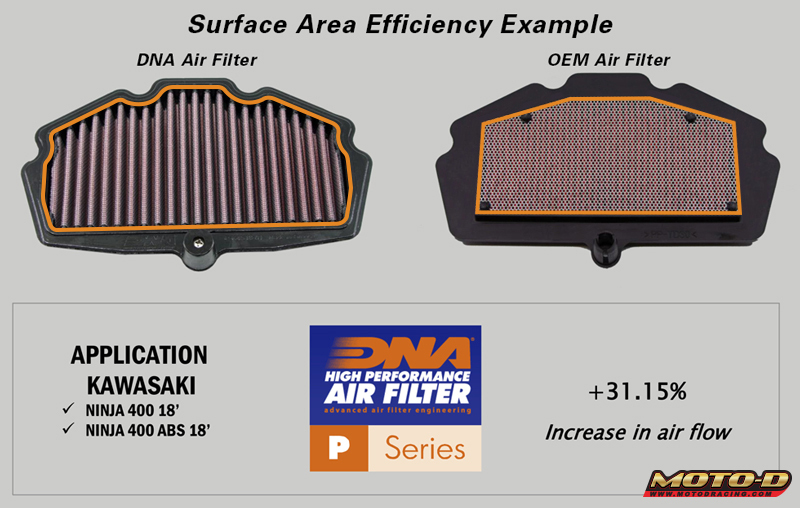 DNA motorcycle air filters are known for their industry-leading FCd (Full Contour Design) technology which substantially increases surface area for increased air flow for maximum performance both on and off the racetrack. Compared to a cheap stock filter, a World Championship quality DNA air filter has a much larger surface area. It's a known fact, sportbike motorcycles that breathe easier make maximum power. There are 4 layers of DNA Next Generation Premium Cotton allowing high-flow rates that rival other brands but also protecting your engine with uo to 99%+ clean air. 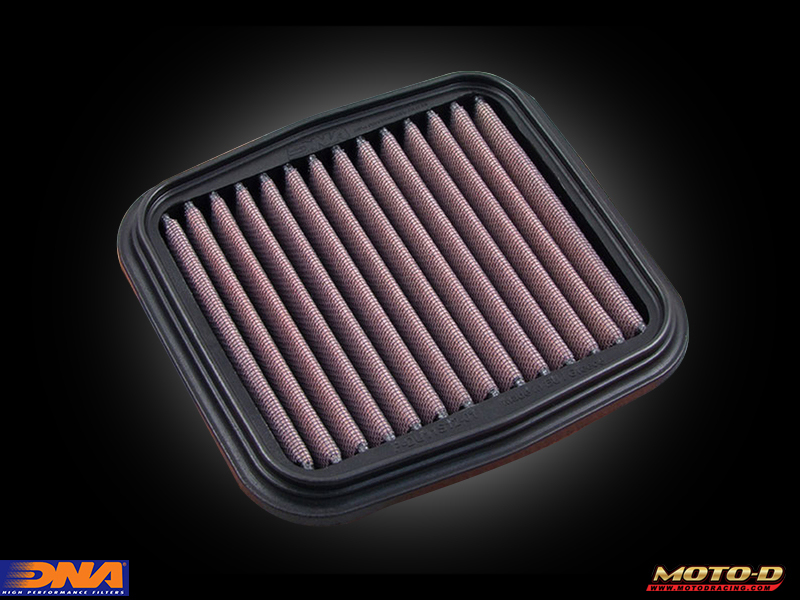 Popular filters exist for all Yamaha, Suzuki, Ducati, Triumph, Honda, MV Agusta, Triumph, Kawasaki, and BMW sportbikes. Washable and reusable, high-flow DNA motorcycle air filters carry an exceptional lifetime warranty and are simple to install. DNA filters add horsepower and are widely used in racing series around the world in MotoAmerica, CCS, and WERA. DNA Air Filters are a great choice for 1000cc, 600cc, and the newest generation of 300cc sportbikes that want peak performance of the dealer floor. 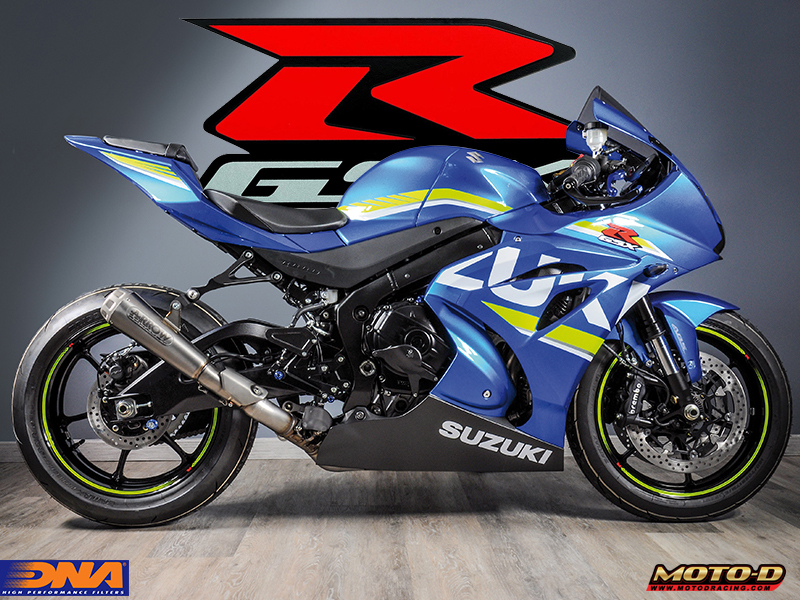 DNA Suzuki Air Filters add horsepower while letting your sportbike breath better. The high efficiency of DNA Filters utilizes breathable surface area compared to the OEM filters allowing you to get the most horsepower on any track. The new 2017 Suzuki GSX-R 1000 DNA Air Filter is an incredible performance upgrade. 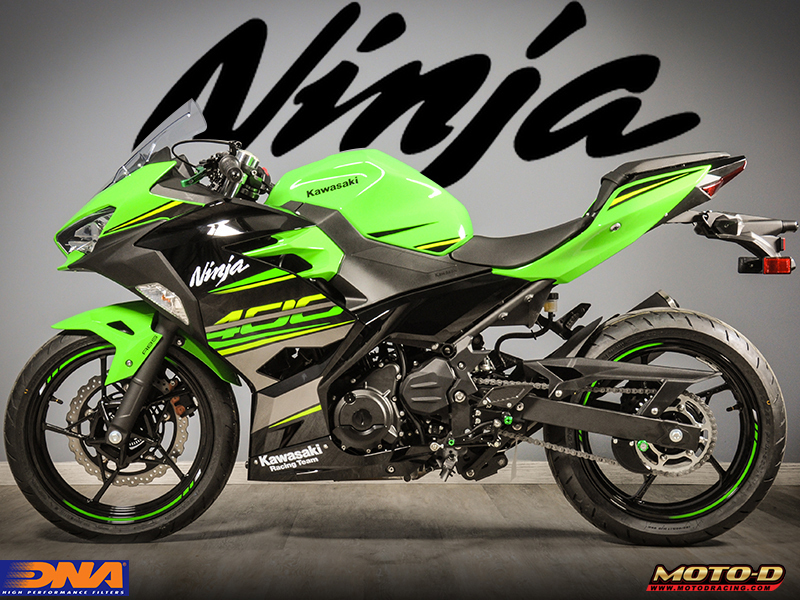 DNA Kawasaki Ninja 400 Air Filters add power and injects up to 99% clean air to your motor. DNA Air Filters generate power to assist with rough idling due to the restrictive stock filter. 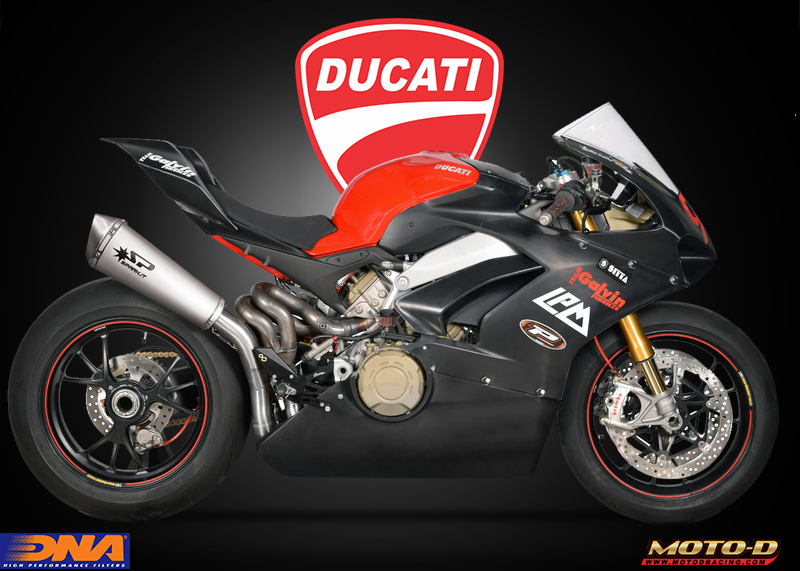 DNA Ducati Air Filters maximizes breathable surface area compared to the OEM filters. 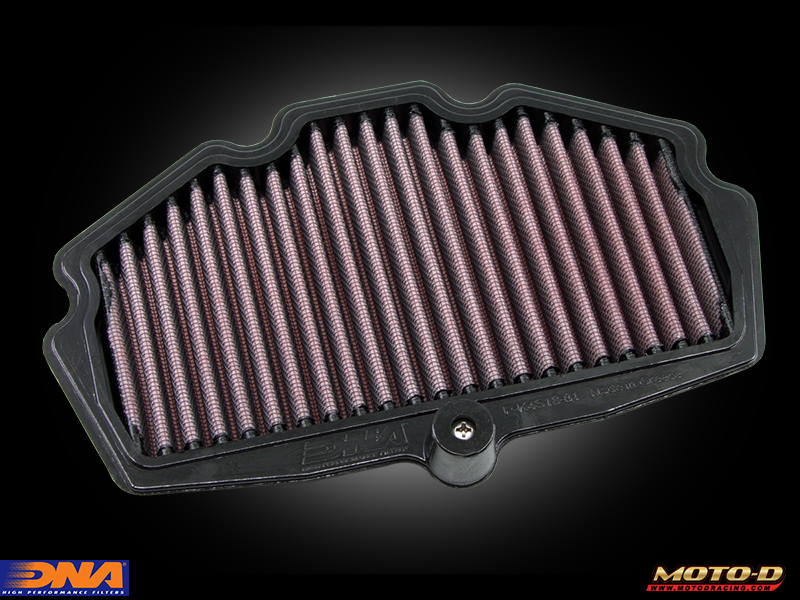 The efficiency of DNA Filters adds breathable surface in the filter area compared to the OEM filters allowing you to get the most horsepower on any black top. 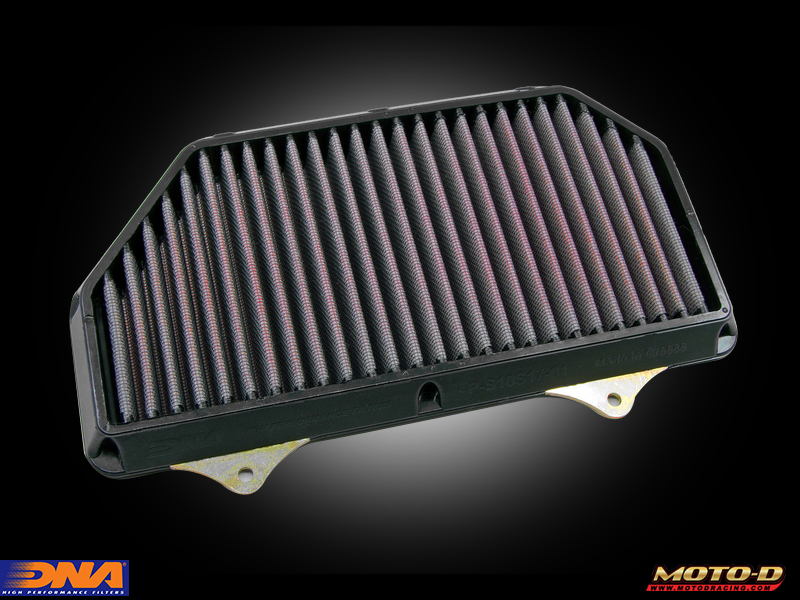 See the rest of the DNA Kawasaki motorcycle air filters here. DNA Air Filters are also in stock for the Ducati Panigale 1299, 1199, 959, 899.